You must plan a export strategy, by developing a strategy you will find out, if you are ready to export & avoid costly errors. 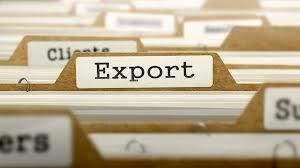 An export strategy is an essential component of your business plan. Keep it simple, but make sure everyone in the company involved in achieving the export results is aware of the plan and has contributed to it. Why have an export strategy? Developing a sound export strategy helps you define your export aims and allows you match your resources to those aims. Your export strategy will help you manage the market sectors you have identified as core business. Focusing your resources enables you to provide quality responses and service to your new export customers. A well-developed export strategy will help in dealing with a range of service providers. It singles you out as a company that has well-developed, realistic goals and programs designed to achieve them. It is critical to analyze your motives for entering overseas markets. The key questions to ask are? What does my company want to gain from exporting? Is an export program consistent with company goals? Do we have the resources – financial and human – to execute an export program? Are our products or services exportable – or are major modifications required? Establishing a broader and more stable customer base. Utilizing excess capacity to lower costs. Accessing new technology for overseas markets. An essential element in developing a sound strategy is to identify the key factors that have influenced your decision to export. Draw up a ‘long list’ of all the issues that have prompted you to export. This list will serve as the basis of discussion with a range of staff to rank these factors and understand. Why they are important to the success of your business. Reduce your list to about 5 of these factors and build your strategy around them – and from that, your Export Plan can be developed. There are strong advantages to having a written strategy and it need not be long. It must be simple, understood and accepted by all company members. It serves as a constant guide and binds staff commitment to the company’s export efforts. Discuss your strategy with others such as Austrade, your bank and financial advisers, freight forwarders. Keep it to 2-3 pages. The effort you make at this early stage in outlining and defining your Export Strategy will be repaid as you continue the export journey. Successful exporters always have a clear idea of why they are exporting and the results and benefits they expect to achieve. A sound strategy marks the professionalism of your company and provides valuable benefits when dealing with banks, customers and support agencies. It provides direction to your staff and their involvement in its creation is a critical factor in embedding an export culture in your company. Conditions change – and your strategy will need to adapt to shifting environments, both in Australia and in overseas markets. Your Export Strategy should be modified when unexpected situations emerge. Make your strategy readily available to staff and review it on a regular basis. As your export business matures, you will become more aware of the external factors that influence your strategy and develop ways in which you can manage and adapt to them. These external issues can include availability of finance, exchange rates, import regulations in your export markets, new or unexpected competition, technology shifts and logistics. Anticipating change and adapting to external factors is a vital factor in the export planning process.A balanced strategy requires clarity in objectives and also a statement of targets at a broad level. An export strategy must be integrated with your company’s overall business plan. Align export activities with daily operations and avoid any conflicts between your domestic and international activities. Understand the areas where you have a strong competitive advantage. These areas may include your technology, your staff or business systems. Determine how best to use them to achieve your export goals. Also identify any weaknesses. What are the key elements of an export strategy? Bring your key export goals into sharp focus – so you know exactly where to aim your efforts. Particular aims could include reducing seasonal demand swings, reducing fixed costs, fully realizing production capacity, accessing new technology, consolidating your international reputation or matching the performance of your domestic competitors who are already selling offshore. Assess the outlook for your business in the Australian market. What are the constraints on your export growth? Apply three simple scenarios from low growth and intense competition to a high growth situation. Prepare yourself for a range of marketing contingencies to help assure yourself of your company’s ability to meet varying levels of resource commitment and market demand. The best export strategy is concise and simple. It involves on-going discipline to assess why your company should export and how you will achieve your goals. Make sure your objectives are clear and that all staff involved in export contribute to the strategy. An export strategy needs external review. Your export adviser or freight forwarder , bankers, financial advisers and business consultants can provide valuable help. Subscribe to our newsletter to keep up to date with the latest. ©2019 Worldwide Customs & Forwarding Agents Pty. Ltd.